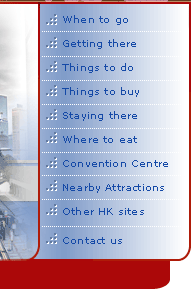 The Hong Kong Convention and Exhibition Centre was first built in 1988 to cater for the demand of exhibition and meetings. With the success in attracting international trade fairs, it has become a major exhibition centre in Asia. During the last two decades, it had expanded twice. Once in 1997 and the other in 2006 to meet the rapid growth of demand for its facilities. 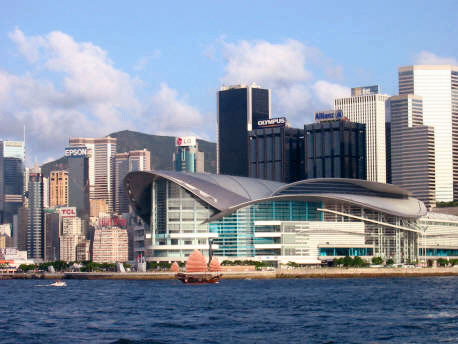 The HKCEC was located at the heart of the Victoria Harbour. Visitors to the seminars and exhibitions get to enjoy the spectacular harbour view of Hong Kong. It was also located between two major hotels - Grand Hyatt Hong Kong and Renaissance Harbour View Hong Kong which belongs to the Marriott Hotel Group. This provides direct access to over 5000 hotel rooms. Worth noting is the promenade outside the HKCEC is now known as Golden Bauhinia Square. The expansion project in 1997 was just in time to hold the return ceremony of Hong Kong from British government to China. The "Forever Glooming Bauhinia" statue was given by the Chinese government to Hong Kong to commemorate the return. Every day there is a daily flag raising ceremony. It starts at 7:50a.m. till 8:03a.m. except on the first of each month there is a longer ceremony which starts at 7:45a.m .and ends at 8:13a.m.